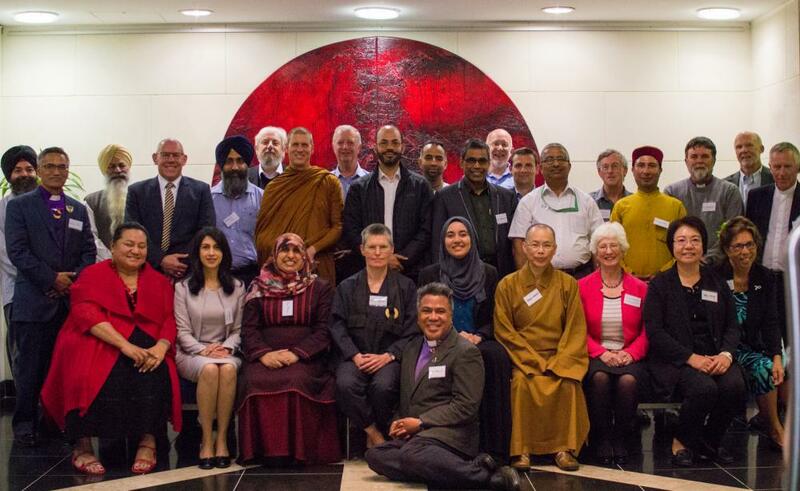 The Religious Diversity Centre organised and hosted the inaugural meeting of national religious leaders representing the wide variety of faith and belief groups throughout Aotearoa New Zealand on 15 November 2017 at the Religious Diversity Centre in Auckland. Archbishops and other leaders from Christian denominations, as well as representatives from Hindu, Sikh, Muslim, Bahá’í, Buddhist, Jewish, Latter Day Saints and the Rātana Church communities were present. The growing levels inequality and poverty in New Zealand, which can only be solved through addressing structural issues. The need for increased levels of training for teachers to feel confident in bringing religious diversity education into classrooms. By improving understanding of each other’s commonalities and differences, we will be able to increase religious harmony in New Zealand. The importance of recognising the climate crisis as an urgent issue for human beings, which impacts the well-being of everyone on the planet. The leaders are already working within their own faith communities to implement solutions to these issues but are calling for wider collective action and advocacy. Lasting solutions require action from central and local government as well as from civil society. The religious leaders committed to working together to provide leadership at a time of global turmoil, and look forward to meeting regularly to achieve these and other aims.